Looks like the folks at the classic race team/Porsche tuner Brumos invited the Urban Outlaw himself to run around in their nicely modded 2012 911. 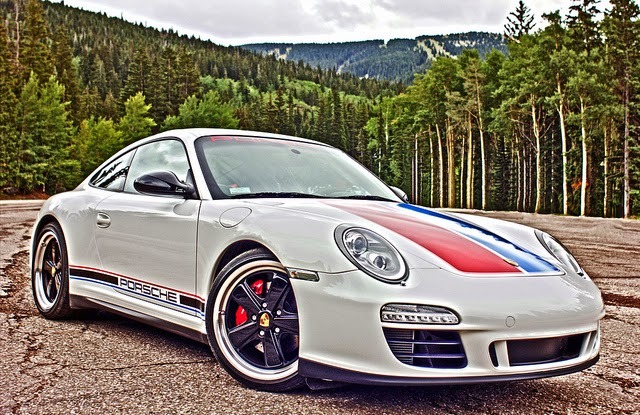 The car is decades newer than anything he owns personally, but due to its stellar red, white and blue color scheme... for me Magnus Walker seems right at home with this one. Man, that thing is just a stunning piece of machinery. It's just interesting to me how this paint job turns what's normally your run-of-the-mill looking 911 into a total classic. Seriously, just look at it!